The V8 powered B6 generation Audi S4 is something of a jack-of-all-trades in the world of late model performance super-sedans. It isn't as fast or viscerale as an STi or Evo, but it is far more refined. The S4 might not offer as much straight line punch as an E55 AMG, but it offers a manual gearbox and the safety of all-wheel-drive. If you want a well rounded sport sedan, this is your car, and it comes in the most incredible shade of blue you'll ever see. 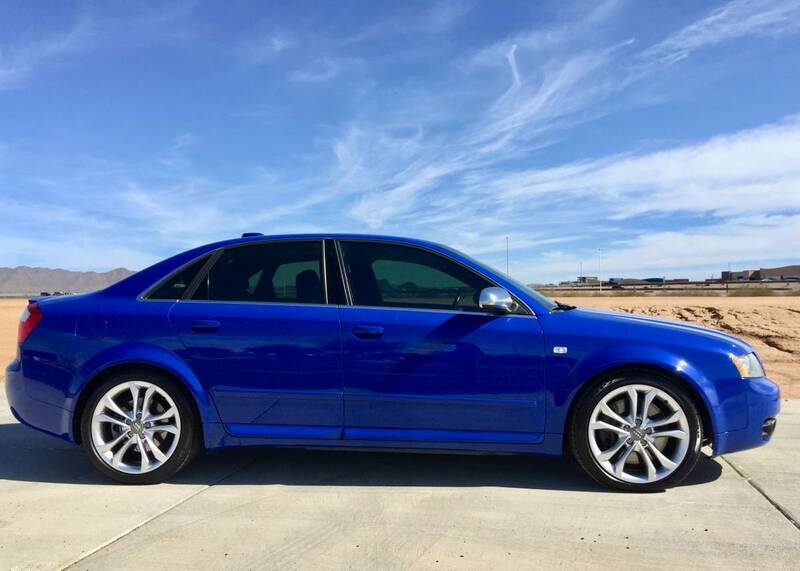 Find this 2004 Audi S4 6-Speed offered for $13,400 in Scottsdale, AZ via craigslist. Tip from FuelTruck. Well Known in the Audi Community... finally up for sale and I hate to see it go... but, willing to sell it to another enthusiast to enjoy. As far as deferred maintenance goes it needs a new window regulator for rear left window, I never put that window down so it didn't matter to me, there are a couple door dings, a ding in the roof, glass cracked on fog light, and the drivers side makeup mirror thing needs a new bracket to hold it up, I opened it too quickly and it broke the plastic mount which is like a $5 part and you don't ever notice that it isn't snapped into place. Just replaced the entire fuel system and got a new wiring harness. This has been my pride and joy for the last 5 years and out of all the exotic and fun cars I have owned this is hands down my most favorite one. 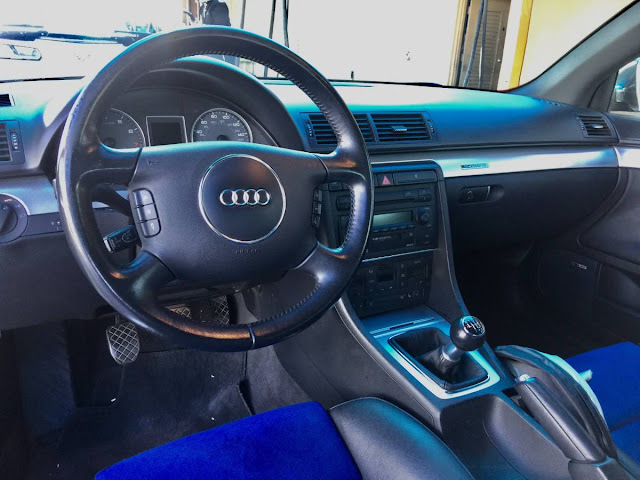 This is a super car for a fraction of the cost... rare opportunity to own a legend in extremely rare 6-speed manual with Nogaro Blue exterior. I mean, 13,900 seems a bit much, but it does appear to be well maintained. And the sound of that Audi V8 is awesome. Timing chain just done is kind of a nice tempter. "Well Known in the Audi Community..."
Ok, but known for what?
. new transmission , ouch!
. head stud replacement - Is this really a wear item or is there some cascade of failures?
. new intake manifold - There has to be a story here , Oh google says they break , WTF?
. new glove box = More squirrels ?